For the first time ever, Pantone has announced two colors of the year, and we're super excited. Both of the colors are relaxing but strong, and work well together to reflect the balance between cool and warm in life. 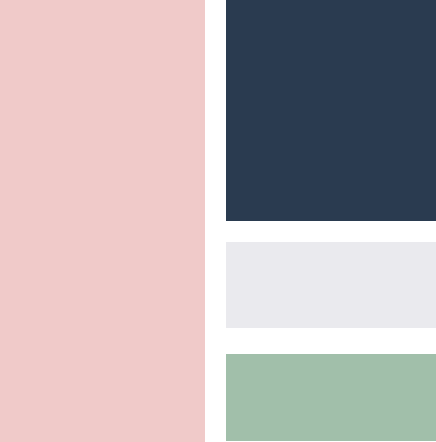 We love both of these colors together (along with some other pastel tones), but we also love these colors on their own. With Rose Quartz, we love a rich navy accented with cool whites and soft greens, like succulents or seeded eucalyptus. With Serenity, we love cream, light gray, and rich, vibrant greens like moss and ferns.